We’ve grown this extraordinarily cold hardy european olive selection for years. And its performance in the city of Portland is stellar. 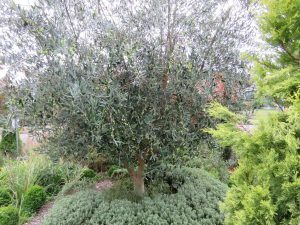 Fast growing somewhat wild looking, ever-silver tree to 20′ tall and 15′ wide in 10 years. In time it develops a gnarled trunk adding to the trees character. This is a self fertile selection and sets fruit very heavily even on singular trees. The fleshy moderately sized fruits are most prized for oil. They may be brined. (Follow any recipe on the internet). Be aware of autumn and winter fruit drop- not for patios, instead plant a large ground cover at the base for the unwanted fruit to drop and hide. 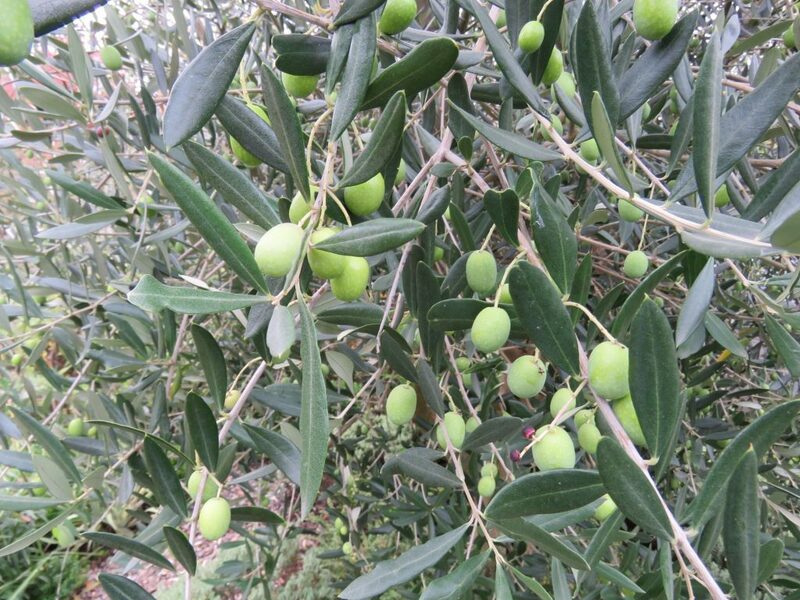 Birds will eat the olives too- especially larger birds. Overall, its a pretty tree when the thin blue gray leaves are tossed by the wind revealing their silvery undersides. Fast growing especially if watering is frequent and diligent during youth. Water like crazy for the first summer to spur growth and establishment. 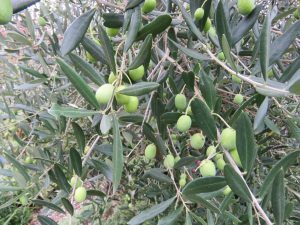 Olive trees gain cold hardiness with age/size. 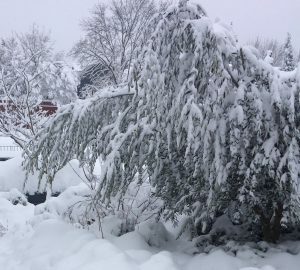 Small plants are tender to dead below 15ºF but a three year old, well watered of the same variety will be undamaged at much colder temperatures than that. Excellent performance in ice and snow (see picture below)- bends but does not break. Protect containerized plants from temperatures below 15ºF. Drought adapted when established. A warm position.